We’ve been writing a lot about the Food Safety Modernization Act (FSMA) and cold chain compliance in the wake of the FDA’s final rule around food transportation. 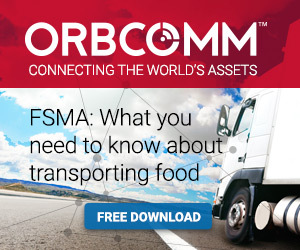 What a lot of people may not realize, however, is that M2M and IoT technology’s value starts long before the refrigerated trailer monitoring, extending from farm to fork. For example, Mark Lewellen, manager of spectrum Advocacy at John Deere recently talked to the Mobile Satellite Users Association about the use of satellite for farming applications. One of these applications is Field Connect. 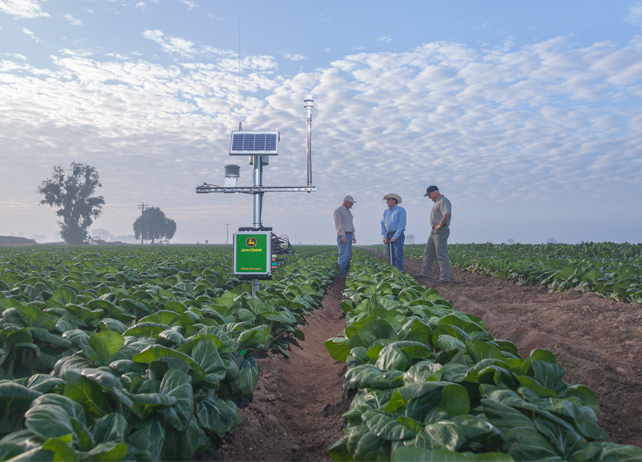 The system uses sensors to monitor moisture levels and feeds data to a web-based interface to help farmers make timely irrigation decisions. ORBCOMM provides the satellite connectivity in areas where there is no cellular coverage. Whether in the office or in the field, data is instantly available to view the soil’s moisture level and make the best business decisions about any measures that need to be taken. Studies indicate that 80 per cent of food producers overwater. Oversaturating soil can reduce growth and yield. It can also increase the chance of soil fungal disease, according to Lewellen. Connecting the data in the field to the producer provides the information needed to eliminate this issue. Conversely, the transmitted data can also show when there is not enough moisture to maximize crop growth. The potential opportunities for M2M and IoT between the field and the office are practically unlimited. Today, data is used to optimize fertilizer and pesticide applications and reduce water pollution from leaching. It can even monitor livestock and feed levels. The value of M2M and IoT is just as important in the fields as it is for trailer telematics. It’s all about complete visibility. With the right combination of devices, connectivity and applications, the right data can be collected, analyzed and acted upon.